Mickey Mouse made a surprise on-court appearance at the Orlando Magic – Philadelphia 76ers March 25 basketball game at Amway Center in Orlando to announce that the NBA Experience, a brand-new destination coming to Disney Springs, will officially open on Aug. 12, 2019. The new location, which Disney has developed in collaboration with the NBA, will feature a number of hands-on activities to immerse guests in the world of professional basketball. 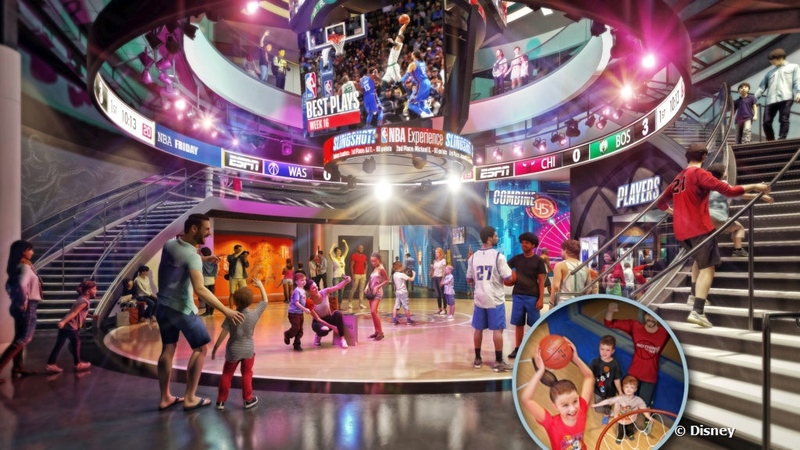 The one-of-a-kind environment will be packed with 13 interactive elements and hands-on activities across 44,000 square feet and two floors, and will give guests the chance to feel like a basketball superstar. Upon entry to the NBA Experience, guests will feel as if they’re walking through the players’ tunnel at an NBA or WNBA arena. 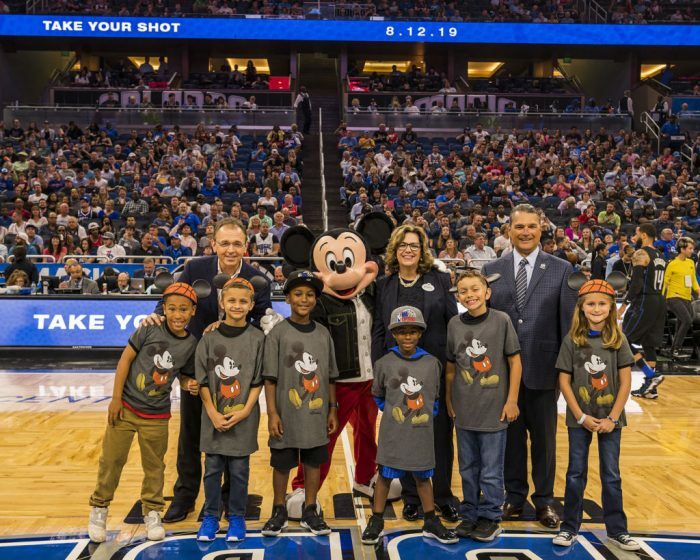 A ticket to NBA Experience grants access to every activity. Guests can participate in any order they choose, with the ability to return to stations to improve performances or learn even more about the game, players and teams they love. In addition to the competitions and games, the experience will also include a retail store featuring NBA-themed merchandise. 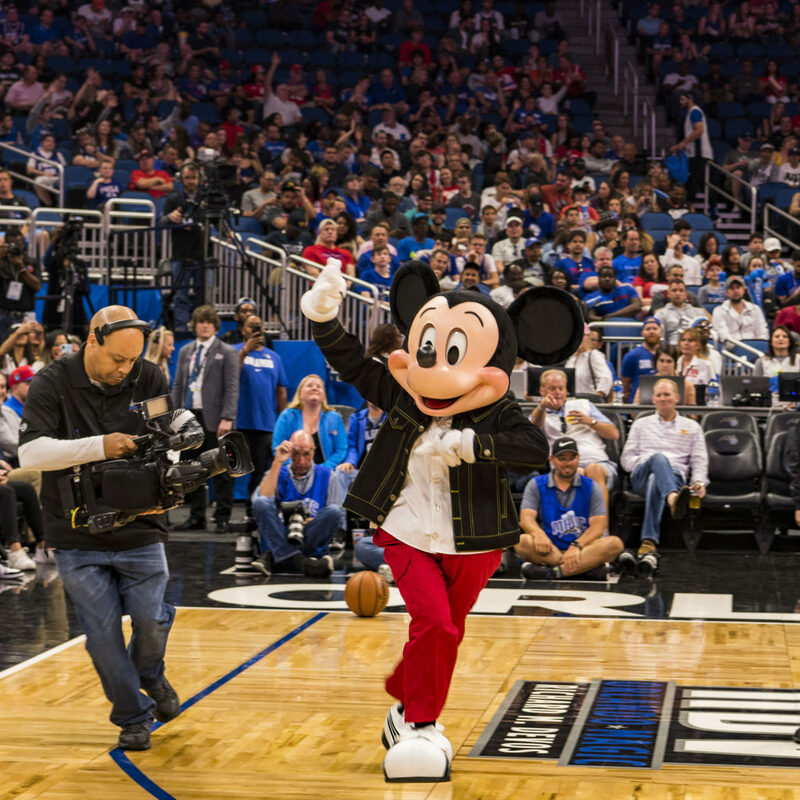 NBA Experience will be located in the West Side neighborhood of Disney Springs, on the site of the former DisneyQuest. A new restaurant, City Works Eatery & Pour House, is also being constructed in that space and will operate on the ground level of NBA Experience. The new eatery will serve up classic American food — think burgers, wings and flatbreads — in a space that features multiple high-definition TVs, including a giant-sized, 165-inch screen. City Works Eatery & Pour House is also scheduled to open Summer 2019. Are you a basketball fan, eager to see the new NBA Experience? Or do you still miss DisneyQuest? Leave us a comment below! Any word on cost of this ticket? Will it be included for passholders? We haven’t heard these specifics yet, Jim. Will report as soon as we know something concrete!